How do I buy a Home?? This is a question we get all the time, simply because about 75% of our clients are first time home buyers. As we travel down the road towards homeownership, there will be bridges to cross and decisions to make. We will be there with you every step of the way. To start, call or email us. If you like, email us your phone number, and we’ll call you. Our first step is getting you VA pre-qualified. If you already have a VA lender and you are prequalified/approved skip to #2.We will gather some basic information from you (phone number, email etc.) and then we will have our VA lender call you. It takes about 15 minutes to do the VA pre-qualification. A credit score of 580 is required. They will ask for copies of W2’s and will provide loan documents to sign. This is for your VA pre-approval. At this point we should know a loan amount and you can start looking at houses that fit in your budget. The specific part of the Houston area you want to live in will decide which VA specialized real estate agent you work with. 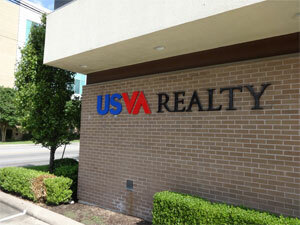 It’s time to meet your USVA Realtor. We will send you listings that fit your budget and your desired area. Choose those you want to see, and we will schedule showings that are convenient for you. Decide on a house. VA guidelines are strict when it comes to property condition. The house can’t have any structural, safety, or sanitation issues, or it will not pass the VA appraisal. If present, any of these issues will need to remedied by the seller before closing. The seller is not obligated to make these “lender required” repairs, but if they will have to for a VA loan. Many houses that are “project houses” or are advertised as a “fixer upper” will not be candidates. Houses that just need updating and some remodeling are fine as long as they meet the VA guidelines regarding structural soundness, safety, and sanitation requirements. Make an offer. We will prepare the offer to reflect the amount you want to pay and any other terms you desire, such as closing cost assistance* from the seller. Hopefully the seller will accept your offer. Sometimes it goes back and forth with counteroffers. When the seller finally signs it, you will have a “contract.” It takes about 45 days to close from the contract date. You are required to get a pest inspection on the home before closing by a licensed pest inspector. If the house has active termites it will be required that they are treated. Although you are not required to get a general home inspection, it is highly recommended. It’s closing day. You will most likely be closing at a Title Company. Bring your current Texas driver’s license. Any funds needed to close will need to be in the form of a cashier’s check from your bank. Congratulations! You are a homeowner! Here are some terms to familiarize yourself with. VA Closing Costs – Although the VA loan is 0% down, there are closing costs. The lender requires a certain number of months of taxes and insurance in an escrow account. (when you pay the house off or sell it, you get this money back) Also, there is usually a 1% loan origination fee and other closing fees. Usually closing costs equal about 5% of the price of the home. Many buyers negotiate the closing costs into the contract, so that the seller pays them for you at closing. VA Non-Allowables – There are certain costs that the veteran is not allowed to pay by law, such as the pest inspection. The seller is usually responsible for paying them. The veteran may pay for it at the time of inspection, but gets a credit back at closing for the full amount. Usually VA non-allowables don’t go over about $500 dollars. If a lender has a high figure like $1000 to $2000 in VA non-allowable fees, they are over charging you with junk fees. That is making the seller pay more non-allowable fees, which means the seller has less room to negotiate, and you are paying more for the house. Termination Option aka “option” or “unrestricted right to terminate” works in favor of you, the buyer. In the contract there is a provision for an “unrestricted right to terminate.” With this provision, the buyer gives the seller a sum of money (Usually $100 to $250, it’s negotiable) to have the right to terminate the contract for a particular number of days (Usually 7 to 10 days, also negotiable) from the start of the contract. This is the period that you want to do all your inspections and ask for any repairs. If the seller is not agreeable, you can terminate and get your earnest money* back, but you will lose the option fee. If you do proceed with the contract you will get credit for the option fee at closing. Remember….it’s “unrestricted” so you can terminate for ANY reason or NO reason.